At the end of last month, when the Financial Times wrote that Apple was going to offer Fox new releases for rental via iTunes, I asked the all important question: Who is brave enough to follow Fox’s lead? Today it appears that Warner Bros. is joining the party (Bloomberg report), suddenly making iTunes movie rentals much more viable than renting only Disney and Fox films. To date, just Disney sells newly-released movies on iTunes, with Paramount, Metro-Goldwyn-Mayer and Lionsgate offering older titles. None of the studios rent movies via iTunes. 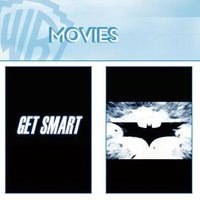 If all works out, iTunes will offer new and classic movies for rental from Warner Bros., News Corp.’s Fox, Viacom’s Paramount, Disney, and Lions Gate Entertainment Corp. Movies will rent for $3.99 for 24 hours. Speculation is other studios will quickly join the lineup. Apple is expected to announce iTunes movie rentals, and fill in the blanks of the service, Jan. 15 when its chief executive officer, Steve Jobs, gives the keynote speech at Macworld. Netflix rolls out unlimited Internet viewing option – preemptive strike against Apple?